This is a multi-purpose venue. 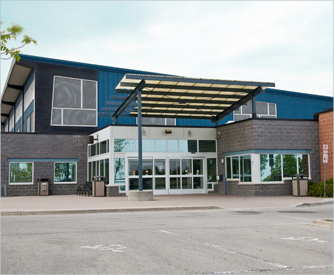 The arena facilities offers public skating, a variety of lessons, and can be rented for your own events. 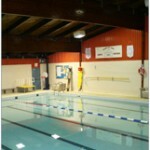 In addition to the ice rental you can also rent the multi-purpose room that holds approximately 200 people. It features a kitchen & bar, gas fireplace, it connects to the arena and has its own dedicated washrooms. A great local venue for your next event! The 25m Lions Club pool is fully accessible with a 1m diving board, junior water slide, sauna and recently renovated showers. The Dufferin Rural Heritage Community Centre is owned and operated by the Acton Agricultural Society. The D.R.H.C.C. houses a permanent 21,000 square foot artificial turf, 3 offices, a meeting room (suitable for up to 30 people), large foyer and viewing area. The centre is located in Prospect Park in Acton. The facilities are used by various soccer clubs, lacross clubs, football, rugby and baseball teams. Weekday mornings the club is reserved for “DROP INTO DUFFERIN” program for public use promoting active living in our community. This facility is a safe, climate controlled environment of uninterrupted space with 40 foot ceilings.